In the midst of three days of dedicatory ceremonies for the Rome Italy Temple of The Church of Jesus Christ of Latter-day Saints, all members of the First Presidency and Quorum of the Twelve Apostles (15 in all) gathered Monday for a historic group photo. 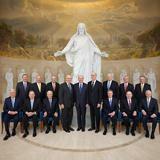 It is believed to be the first time in Church history that all 15 leaders have gathered in one location outside the United States — and the first group photo taken in two decades. The First Presidency is comprised of President Russell M. Nelson and his counselors, President Dallin H. Oaks and President Henry B. Eyring. 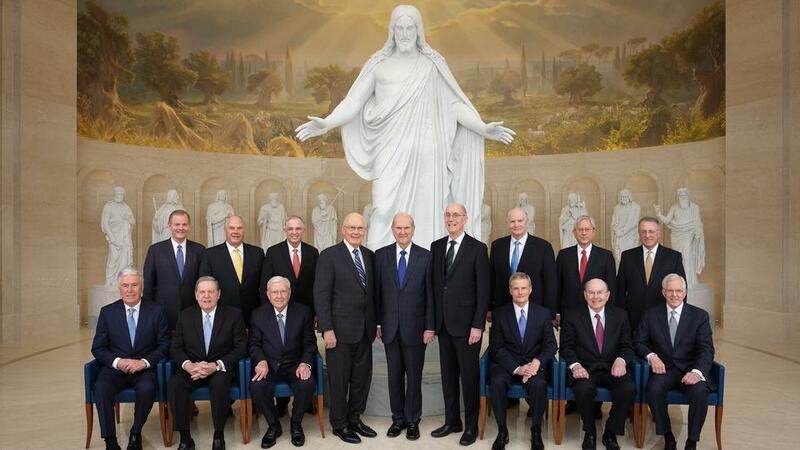 Members of the Quorum of the Twelve Apostles are President M. Russell Ballard, Elder Jeffrey R. Holland, Elder Dieter F. Uchtdorf, Elder David A. Bednar, Elder Quentin L. Cook, Elder D. Todd Christofferson, Elder Neil L. Andersen, Elder Ronald A. Rasband, Elder Gary E. Stevenson, Elder Dale G. Renlund, Elder Gerrit W. Gong and Elder Ulisses Soares. Five dedicatory sessions have been held, with the final two sessions scheduled for Tuesday, March 12, 2019.